Neo Era Media's experience running popular and high volume websites have allowed us to tailor our webdesign services to fit the needs of various clients. We offer webdesign, coding and web development services, and website consulting/optimisation services. Neo Era specializes in working with small companies or individuals who require more than just web design, but who could also benefit from our experience in running successful, high volume websites. We can offer insights into making beautiful, functional, easy to use, and memorable sites. Our strong design, paired with skilled web programmers, can allow us to create interactive, useful sites that give your visitors access to tools, information, and even direct online shopping. From a technical standpoint, we resort to recommended industry standards and open source software as much as possible. We encourage our clients to embrace such standards as more support for CSS, cross browser compatibility, search engine friendly pages, proper and liberal use of graphics versus text, and properly designed backend coding. 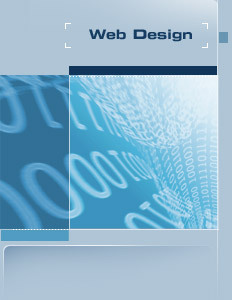 If you are interested in our web design and development services, please contact us. Neo Era Media is a reseller of SSL certificates from the excellent SSL.com service. Copyright Neo Era Media, Inc. 1999-2007. All Rights Reserved.